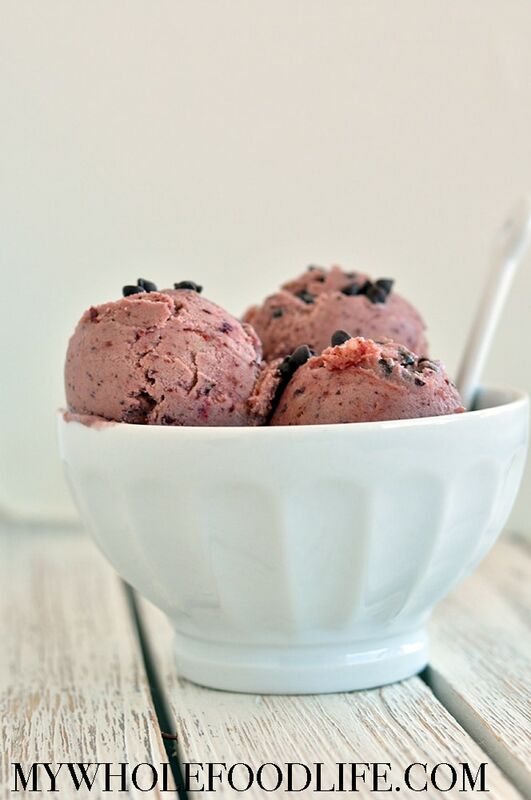 Cherry Chocolate Chip Nice Cream. My family’s challenge lately has been to cook from the pantry, fridge or freezer. We have so much excess food and we need to get through it all. That is exactly how this healthy nice cream recipe came about. I have leftover frozen bananas and leftover frozen cherries in the freezer. Plus, a HUGE bag on Enjoy Life chips to use up. 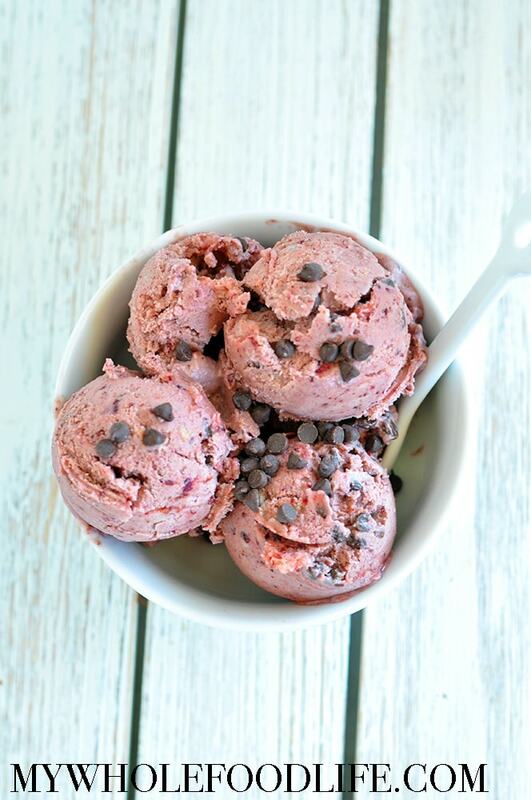 This healthy ice cream recipe is vegan, gluten free AND paleo friendly! Another bonus is that you don’t even need an ice cream maker to make it. It’s super easy! I used frozen cherries, but you can probably use fresh cherries as well. Add all the ingredients, except the chocolate chips, to a food processor and blend until smooth. Once smooth, add in the chocolate chips and pulse a few times. The ice cream is a soft-serve consistency. If you desire a harder ice cream, you can transfer to a pan and stick in the freezer for 30 minutes. Enjoy! I could absolutely cry. This recipe looks so good but I am allergic to bananas . You can try it with all cherries if you like. This looks fabulous can’t wait to make it, thanks for the recipe! You only need to add the milk if the bananas and cherries are not coming together well. A Vitamix should work also. OMG this looks so tasty. I love the cherry & chocolate combo. Thoughts on using frozen strawberries instead of cherries?!?! Excited to make this later! That should work fine too!